Owner Mr Ang of Soi 47 probably repeated this a few times when he was introducing the highlights of this casual Thai eatery. Indeed, for many Thai dishes, MSG is included to enhance the taste but Mr Ang was insistent of not adding for health reasons. ”Our customers come first, and many of them are sensitive to MSG… And I got not much hair left. I must also love what I sell and eat,” he replied candidly. 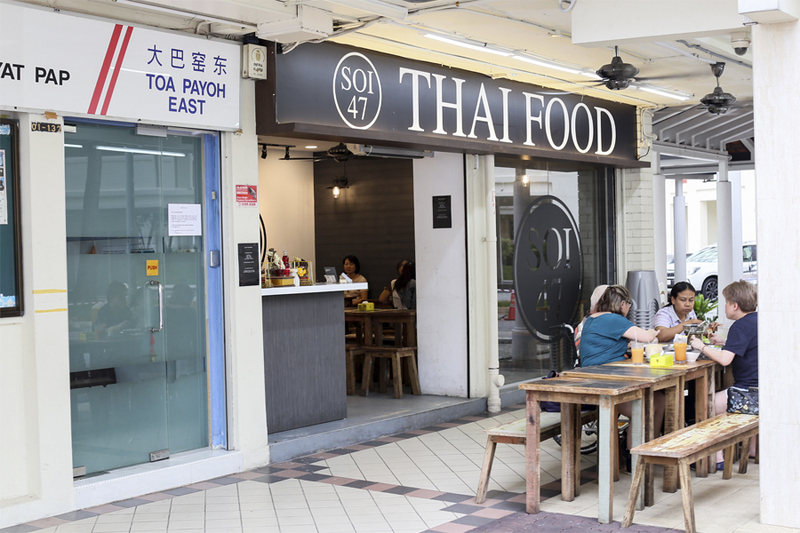 Soi 47 Thai Food is a hidden gem, located at Block 47 of Toa Payoh Lorong 6. 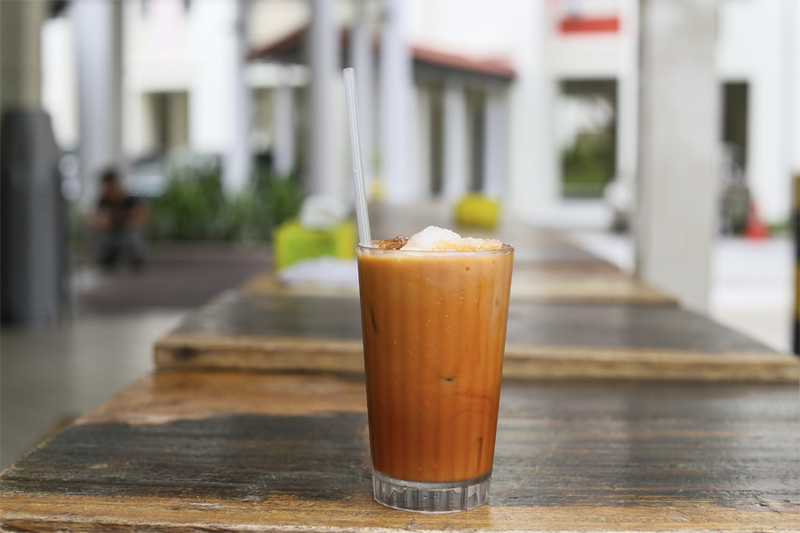 Some diners joked that it was on a little ‘hill’, with regulars coming from as far as Pasir Ris. Thankfully, there is enough parking space for those who drive. 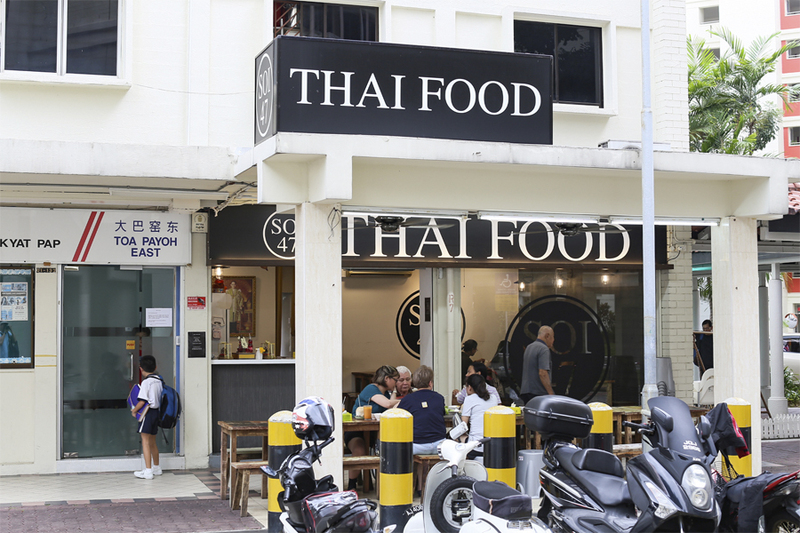 When I flipped through the menu, I couldn’t help notice that many dishes were very affordable, some even more inexpensive than eateries at ‘Little Thailand’ Golden Mile. The cheapest dish was the starter of Crispy Chicken Skin at $3. There were other finger food items that were reasonably priced at $3.80, such as Deep Fried Spring Rolls, Deep Fried Tofu with Thai Sweet Chilli Sauce, and Papaya Salad. The carb dishes were mostly in the $5.00 to $6.00 range, with offerings such as Phad Thai with Chicken ($5.50), Fried Kway Teow with Beef ($6.00), Fried Pineapple Rice ($6.00), Fried Olive Rice ($6.00) and Fried Rice with Chicken ($5.00). 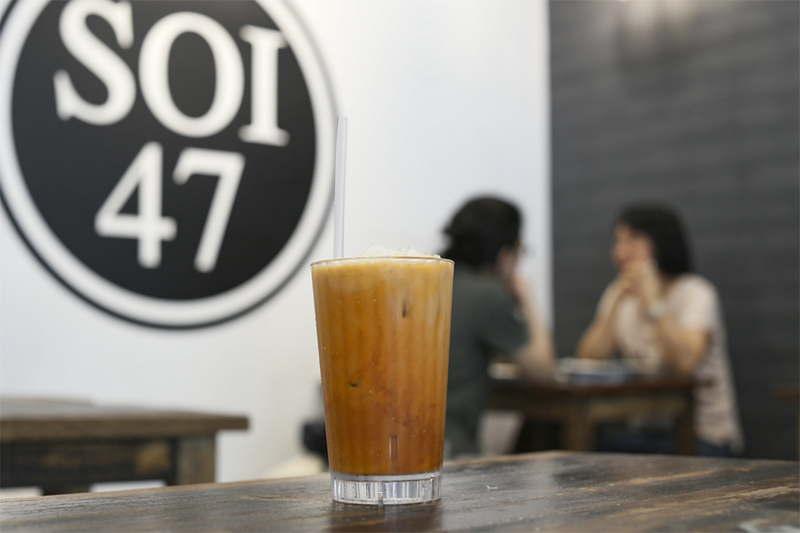 Even though Soi 47 is a casual, no-frills eatery, many of the dishes such as Prawn Cake, Thai Fish Cake and Pandan Chicken are hand-made, and all the seafood used is fresh. 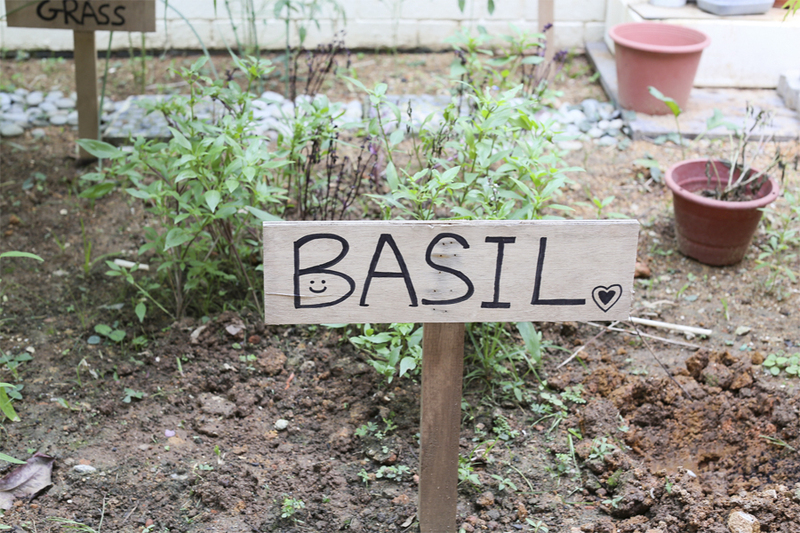 If you walk to the side of the restaurant, you would notice a little garden where fruits and herbs such as basil, lemon grass, and tomatoes are grown. The kitchen team is mainly made up of Thai chefs, which ensures a certain level of authenticity. 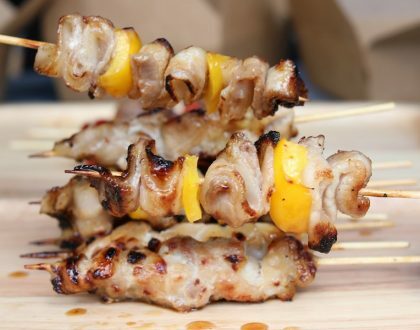 The only part not as ‘authentic’ was the non-addition of MSG, and therefore they use additional spices and herbs to heighten the flavours of the food served, as Thai food is generally rich and robust. If you come with your family or a group of friends, then ordering a fish is a must, since it is only $19.00! $19.00 for a whole Steamed Fish is so hard to find in expensive-Singapore. 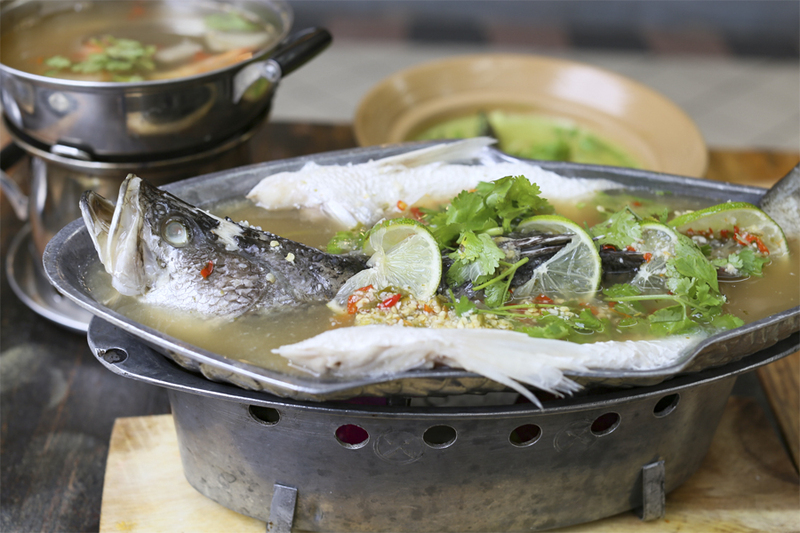 You can have the fish steamed with Thai Lime Sauce or Soy Sauce, or deep fried and drizzled with special Thai chilli sauce. I like to taste the natural freshness of the fish, and Steamed Fish was the automatic choice. Rather than calling it a sauce, the base was more like soup made with fresh lime juice, chillies and garlic. The white-fleshed mild-flavoured seabass was fresh-tasting and tender, with most basic of ingredients creating a complementary complex and uplifting sauce. 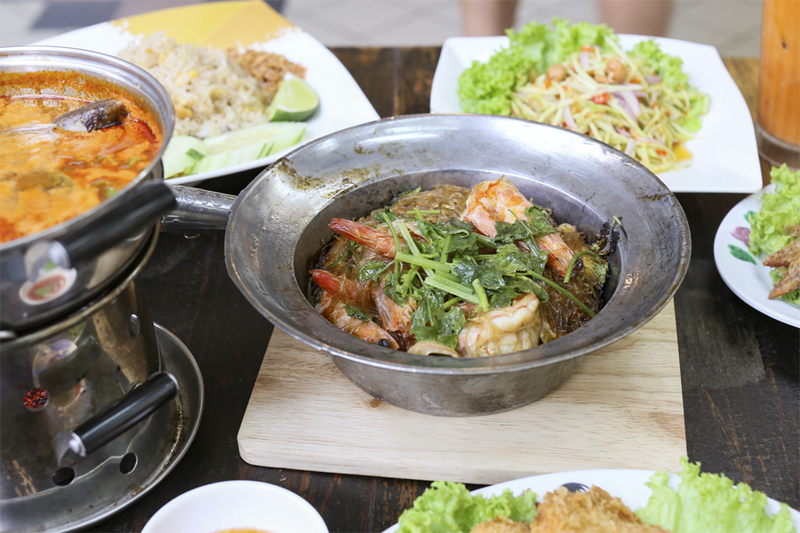 The most popular and recommended item at Soi 47 happened to be the Claypot Tang Hoon With Seafood. 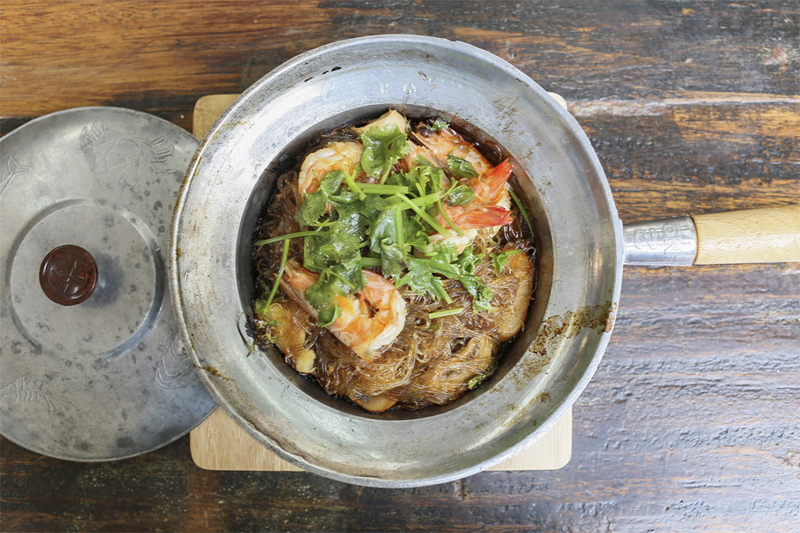 The glass noodles was fried with a mixture of sauces and seafood (which would release some juice), then further cooked in a claypot. This not only helped to retain heat well, but allow the noodles to absorb the seasoning better. The Tang Hoon was indeed both hot and flavourful, and turned out to be my favourite dish as well. 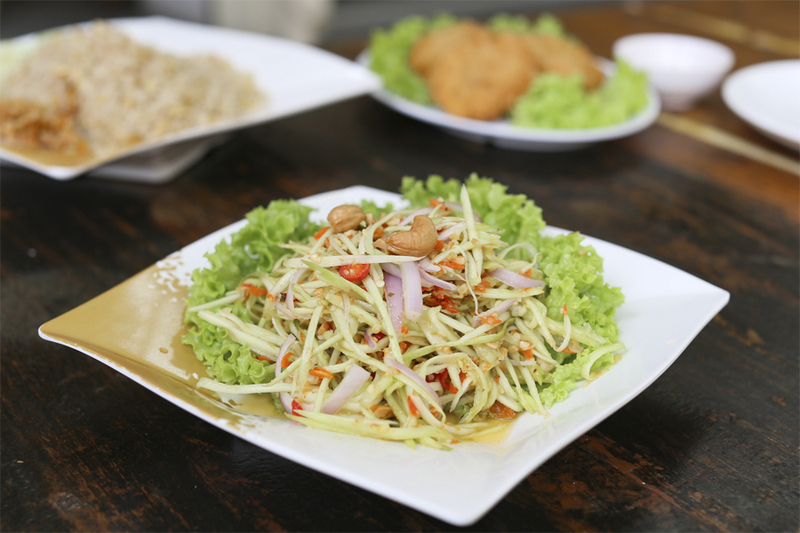 A mildly spicy green papaya salad made from shredded unripe papaya, Thai bird chillies, toasted cashew nuts, fish sauce, lime juice and other ingredients. Good balance of sweet and sour, and I find this not very-spicy, so should be manageable to many. While it is always easier to get ready supplies of Fish Cake and Prawn Cake from the factory, Soi 47 felt that the handmade ones were tastier. 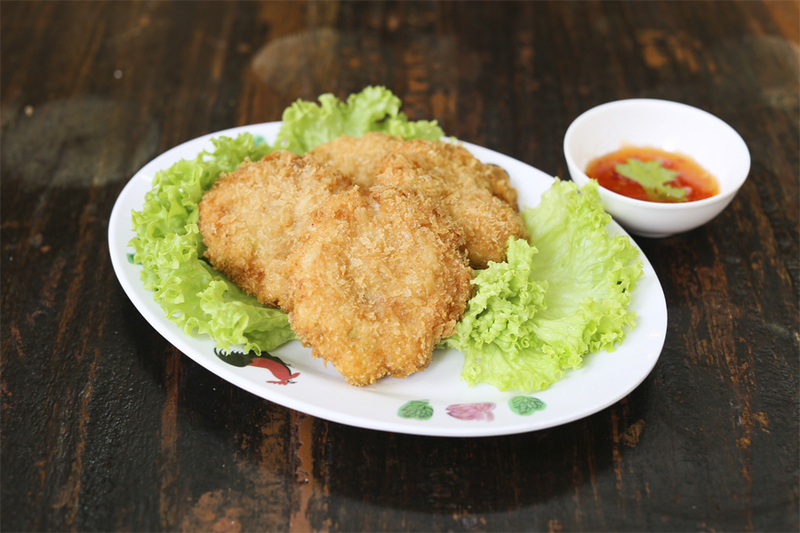 The Prawn Cakes were a crowd pleaser – firm, plump and juicy. Not too oily too. 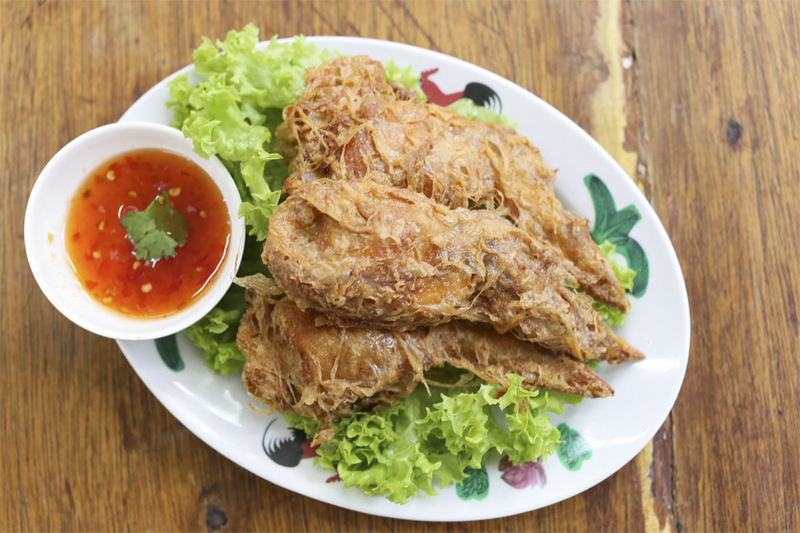 Chicken wings stuffed with a combination of minced chicken, prawn paste, and water chestnut with carrots for the added crunch, then deep fried. 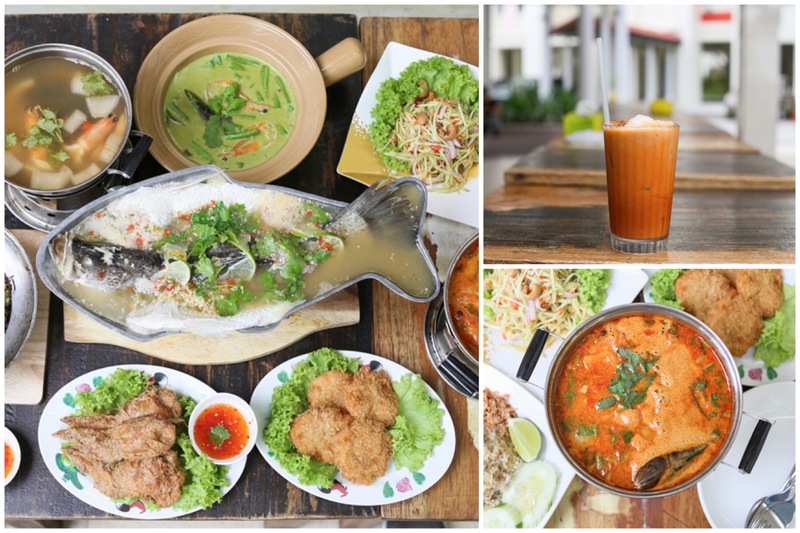 Interestingly, due to the many request from diners, the eatery serves up both clear style and cream style of Tom Yum Soup, with options of seafood, prawn and chicken. 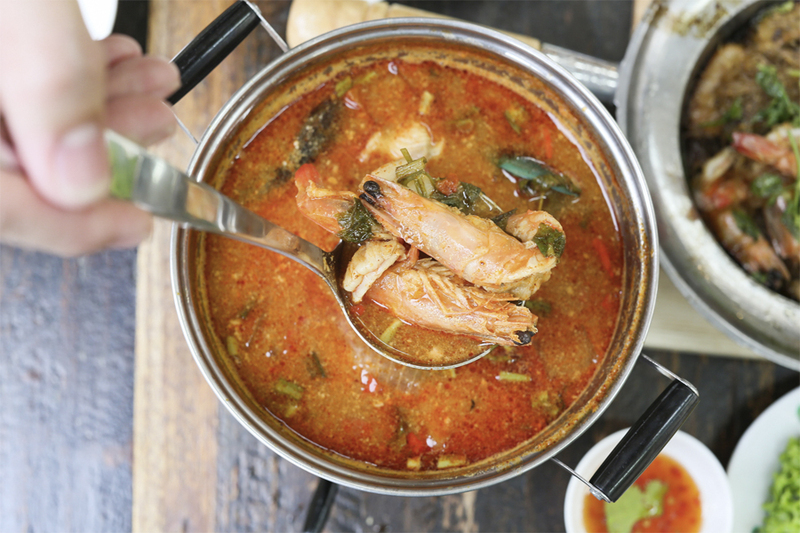 The rich, flavour-packed red spicy soup went well with plain rice. 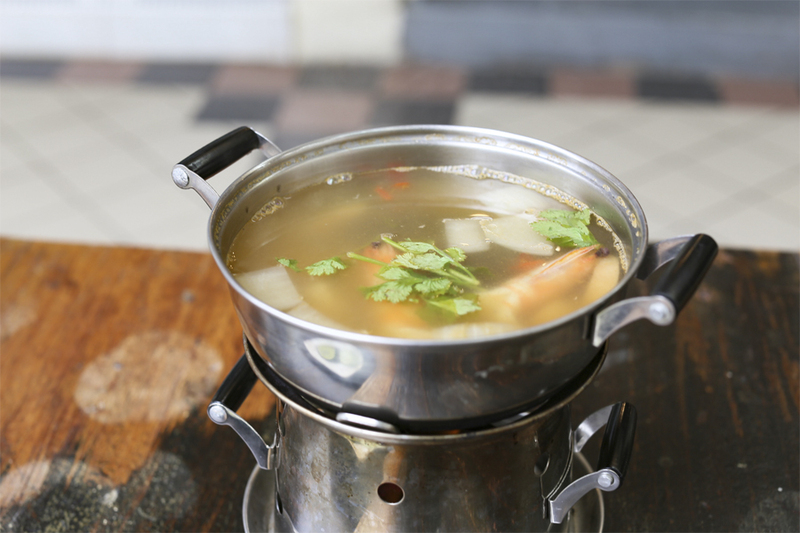 If you would like something even creamier, they also offer Tom Kha – Thai soup cooked with coconut cream. 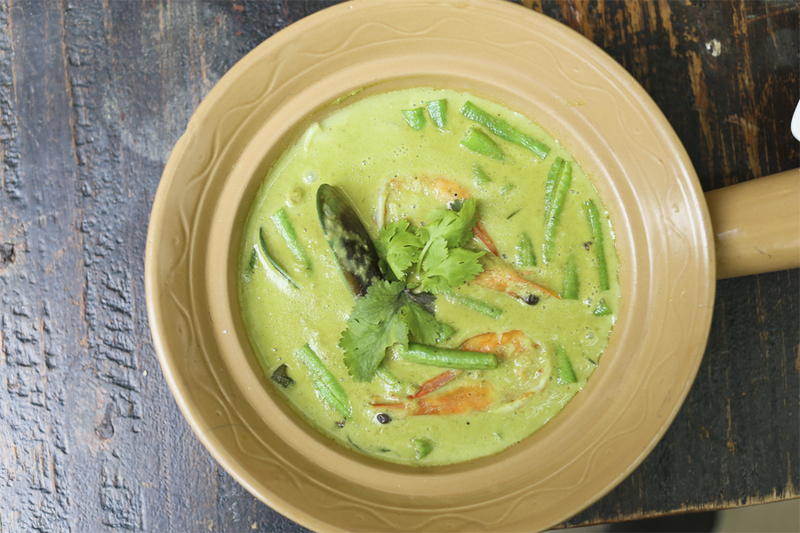 Their version of Thai Green Curry happened to be more milky and had a sweeter aftertaste. Relatively thick, though I wished the gravy was a tad spicier. 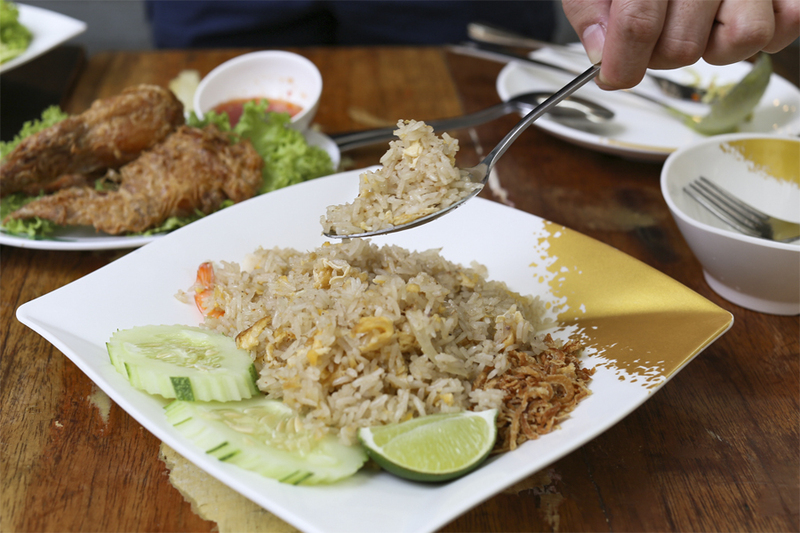 Not to be confused with the local belachan, this rice is fried with Thai style fermented shrimp paste. Good wok-hei. 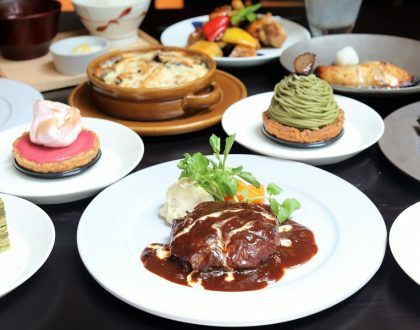 Other rice dishes available included Fried Pineapple Rice (most popular with children), Fried Olive Rice, Bail Pork Rice, Fried Rice with Seafood, Fried Rice with Beef and Tom Yum Fried Rice with Seafood. 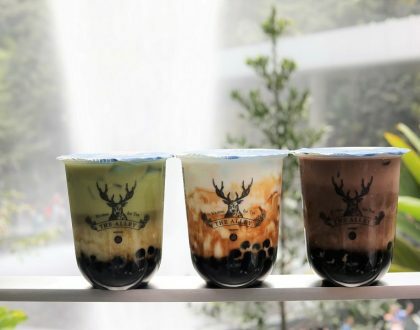 You can end the Thai meal with sweet desserts of Mango Sticky Rice ($5.00), Red Ruby ($3.00), Mango Sago ($4.00), Chendol ($4.00) or drinks of Lemongrass ($2.50 and Thai Iced Milk Tea ($3.00). 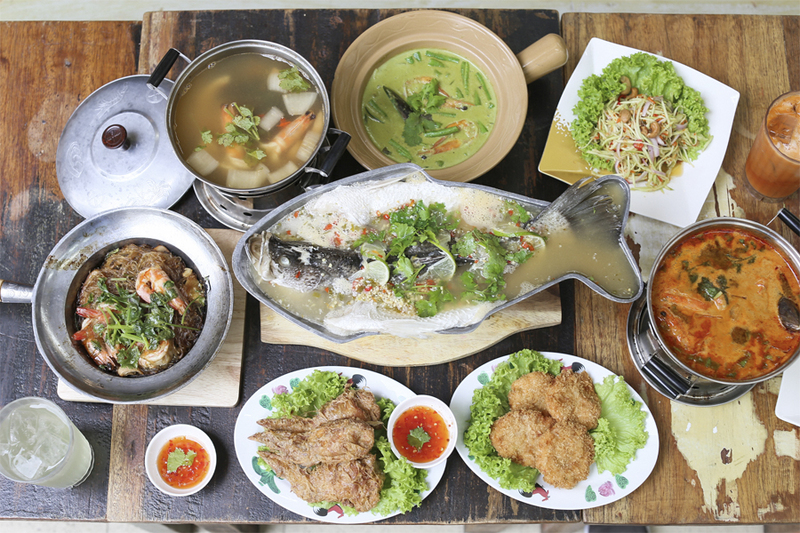 While I won’t say Soi 47 is the best Thai restaurant around, it serves up a range of appetising Thai dishes suitable for the family, all at a comfortable price point. I think this can be a hit. Perhaps it just needs more awareness, as it lacks visibility at a corner unit of a Toa Payoh HDB flat. * This entry is brought to you in partnership with Soi 47.